The world of an athlete includes training, hard work and satisfaction. However, a problem we don’t see on TV when watching the Olympics is the hidden world of incontinence. 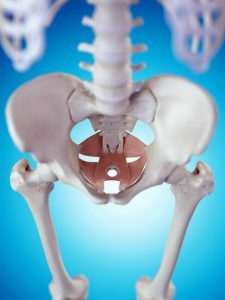 Interestingly, pelvic floor dysfunction is often caused by exercise-induced damage. 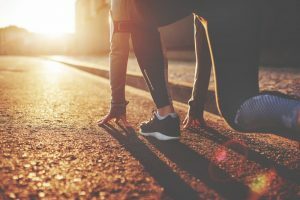 In fact, an increasing number of studies regarding urinary incontinence in athletes indicate that it is not always associated with weak pelvic floor muscles. They suggest instead that tone dysfunction and muscle coordination may be the root cause of incontinence. Often, the pelvic floor can be overburdened by the demands you’ve placed on it. The pelvic floor muscles support the abdominal contents and reproductive organs. When they become damaged, this support can disappear during exercise. It is therefore thought that athletic incontinence is the result of the decreased support of the pelvic floor due to increased abdominal pressure. Do you struggle with athletic incontinence? Post a new question on our forum to receive expert answers and guide others. Incontinence when exercising is also commonly caused by muscles that are too tight and can’t contract quickly or strong enough during high impact activities such as jumping or running. Weak pelvic floor muscles caused by childbirth, accidents and other factors can also cause leaks. Joy Shine, MSPT asserts, “during physical activity, especially high-impact sports like running and jumping, there is an increase in intra-abdominal pressure. The pressure causes the bladder, bladder neck and urethra to move forward, allowing the involuntary passage of urine”. Running is a high impact activity, particularly for women. For many runners who hit the ground with poor technique, pelvic floor problems are worsened. The physical activity that is associated with landing passes through the lower limb and pelvic floor fast as the foot drops to the ground. Having incontinence can make runners feel unhealthy, although they are participating in a healthy lifestyle. Women, in particular, can feel ashamed of talking about it and be under the impression that it should only be something seniors experience. However, the average age at which incontinence starts is 46, so leaking during running is not something people should pretend never happens. Incontinence in the athlete is misunderstood, under-diagnosed and under-treated. By getting rid of the taboo surrounding incontinence, we can encourage athletes to look for help and talk about incontinence. You should not stop running just because of leakages. Instead, focus on talking about the problem and asking a professional. Wearing a protective incontinence product to help you manage leaks is also useful in putting your mind at rest and ensuring you are protected. You need to be looking at products that promote freedom of movement and are comfortable to move around in. 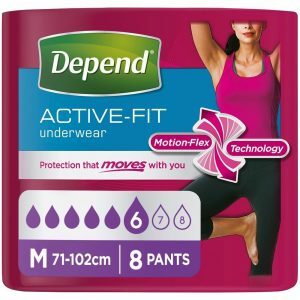 For both men and women, the Depend Active-Fit range are perfect for running. You can purchase gender-specific designs for both men and women that are designed to provide a close fit. 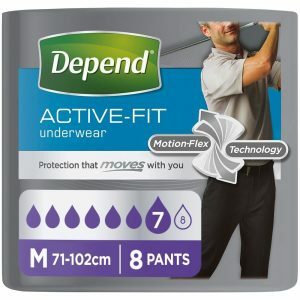 You can purchase the Depend Active-Fit Underwear for Men and Women here. There are many things you can do to reduce the risk of having leakages during running. Read our blog on running with incontinence for tips and advice.